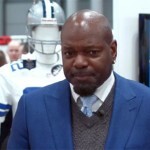 Emmitt Smith is a Hall of Fame running back who spent most o his career with the Dallas Cowboys and is considered one of the top running backs in NFL history. Emmitt Smith is a retired running who played for the Dallas Cowboys from 1990-2002 and Arizona Cardinals from 2003-2004. Considered one of the greatest running backs in NFL history, Smith played college football for the University of Florida, where he was an All-American. While playing for the Dallas Cowboys, Smith, Troy Aikman and wide receiver Michael Irvin were known as "The Triplets," and led their team to three Super Bowl championships during the 1990s. Smith was elected to the Pro Football Hall of Fame in 2010, in his first year of eligibility. In the fall of 2006, Smith won the third season of Dancing with the Stars with professional dancer Cheryl Burke. Smith was praised for "making dancing look manly" and for his "natural charm," and Burke was given credit for coaching Smith while still allowing him to improvise some moves. Smith is also a motivational speaker and popular keynote speaker. 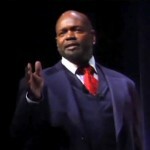 Hiring Emmitt Smith and other sports speakers is easy. For details on how to book Emmitt Smith, including information on Emmitt Smith speaking engagements, Emmitt Smith speaking fee, Emmitt Smith appearances, Emmitt Smith meet and greet, how to contact Emmitt Smith and Emmitt Smith agent information, contact a Emmitt Smith booking agent at Sports Speakers 360 today! 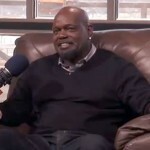 DISCLAIMER: Sports Speakers 360 does not claim to represent itself as the exclusive agent for Emmitt Smith. Sports Speakers 360 is a sports talent booking agency that represents organizations seeking to hire athletes such as Emmitt Smith and other sports celebrities for personal appearances, speaking engagements, celebrity endorsements and spokesperson campaigns. Fees on this website are estimates and are intended only as a guideline. Exact fees are determined by a number of factors, including the location of event, the talent’s schedule, requested duties and supply and demand. Sports Speakers 360 makes no guarantees to the accuracy of information found on this website and does not warrant that any information or representations contained on this website will be accurate or free from errors. We can help your company or organization choose the ideal athlete for your next marketing campaign. If you would like to hire Emmitt Smith for an appearance, speaking event, product endorsement, charity fundraiser, grand opening, PR campaign, trade show or television or radio commercial, contact the booking agent at Sports Speakers 360 for more information.